Since last 2 years Fitness tracker has evolved as one of the most used tertiary devices for PC and smartphone users. They are able to record and track their fitness activities. I too used Mi Band and then switched to Fitbit Charge HR to track my daily workout and running activity. Fitness bands have their own specification and features, So different people have different choices to choose the best one. But you should checkout some of the below Fitness Bands. Fitbit has already launched more than half a dozen devices in last 2 years. Blaze is the most advanced and top notch device. It has a colour display with step tracking, 24/7 heartbeat, and sleep monitoring. Connect with your phone and you will get all notifications on your blaze. 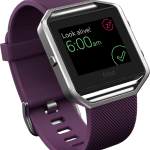 If you are looking for all Fitbit blaze features at much lower cost and better battery life, then you would need to sacrifice the colour screen and stick to old champ Garmin Vivosmart HR fitness tracker. It’s a great package as it features 24/7 heart rate monitoring, smart notification with step and sleep tracking. 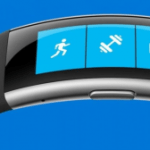 Microsoft band 2 has some great features over its previous version. 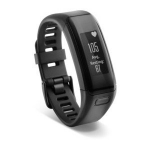 It has more features then other fitness bands with accurate GPS tracking. It has features like heart rate monitoring, sleep tracking, Running tracking, steps tracking etc. 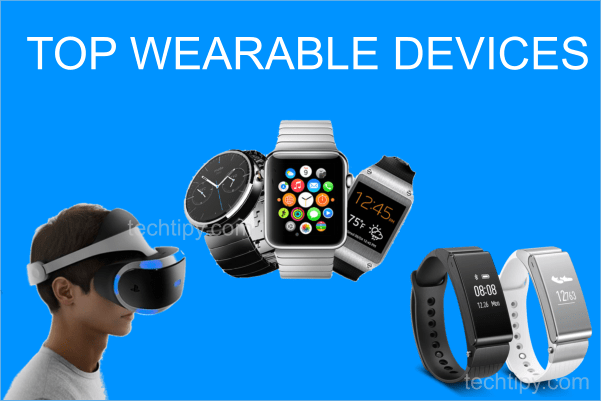 CES 2016 witnessed the launch of many smartwatches from Motorola, Samsung, Asus and other manufacturers. 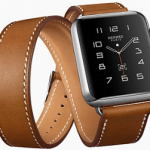 There are lots of different smartwatches available in the market ranging from $50 to $10K. Pebble is an all-time fame name in the field of smartwatches. 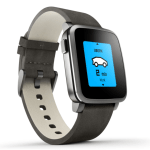 Pebble time steel has the longest battery life of all watches available in the market. It’s available for an affordable price of $197 and really worth it. It features a colourful screen to check all your notifications. The most premium line of smartwatches, Apple’s smart watch is beautifully constructed and has an awesome looking UI. It handles messages really well and can send and receive voice calls via your iPhone. You can store music too to play it via Bluetooth. Virtual reality headsets are most talked about devices now, there are lots of VR devices, apps and games are coming up that are changing the way we use smartphones. It’s the top notch VR device available in the market. It was launched as a kick starter campaign and soon Mark was attracted to it and Facebook acquired it. 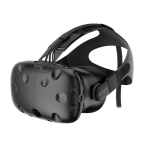 Even after paying £500 you will need to have high-end PC to make it work and get an awesome VR experience. It’s a ship with a built-in screen, camera, headphones, mic, and controllers. Much like Oculus rift, it needs a high-end PC to run, but still it’s very different. It gives you freedom to roam around your room. It uses IR sensors mounted on walls to integrate the virtual and physical world. There are many types of sensors that can integrate with Vive headset to provide a great VR experience. 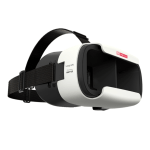 If you don’t want to shell out a lot of money and still like to experience VR then Samsung and One Plus have created headsets that are compatible with smartphones to provide a great user interface that turns your screen into full-fledged 360° 3D theatre. It has an orthoscopic screen and weights just 366Gms. Just setup any 5-6 inch full HD device and a headphone with this headset and you are ready to go. Is Bitcoin creating overnight millionaires? What is refurbished? Is it worth to buy them? Xiaomi Pocophone F1 – The best budget phone? Reimage Repair – Is it legitimate? 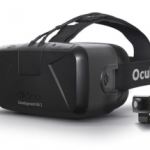 How Virtual Reality is influencing our lives? Is Dubai world central the next Silicon valley? © 2019 - TechTipy. All Rights Reserved.